This is my first distressed ink card. The stamp is a collage from I brake for Stamps. 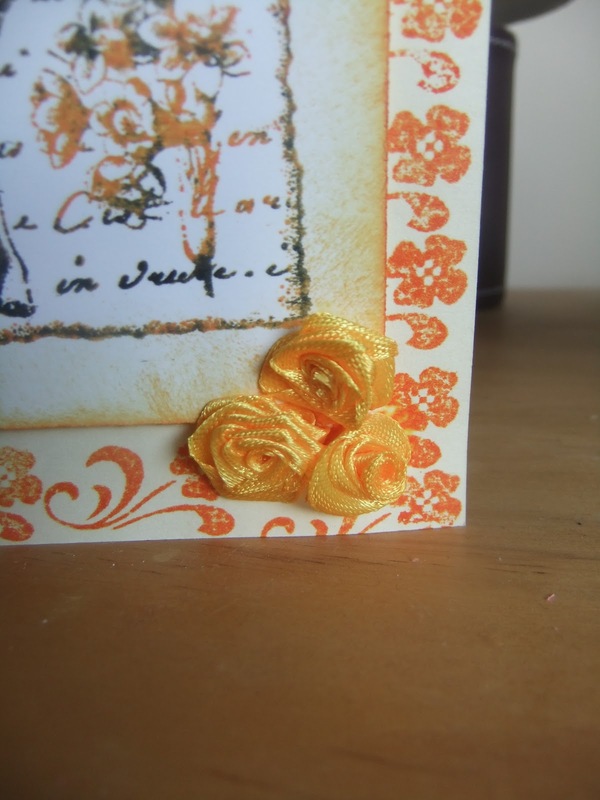 I am especially entering this card for Try it on Tuesday where the theme this week is 'All Your Own Work!. I used Tim Hotlz Spiced Marmalade ink. For the collage I also added a bit of Black Soot. 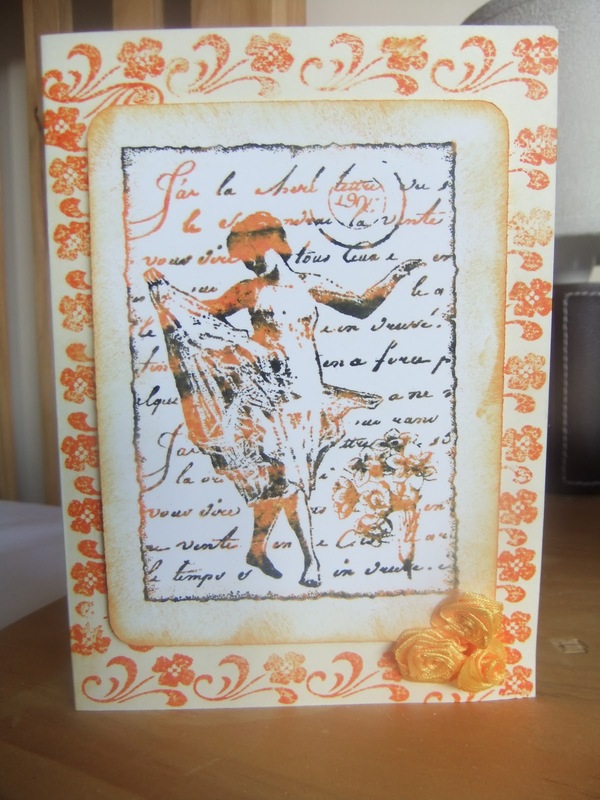 I have stamped with a clear flower stamp to make background. The ribbon flowers are handmade by me. 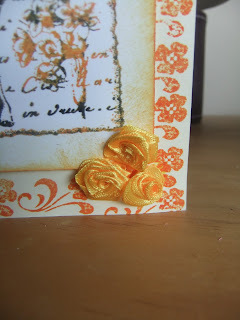 I used a quilling tool to make them. Hi there, thank you for joining us at the Try it on Tuesday challenge this week with your lovely card. Great to see such lovely details.